The public are not allowed inside the passages and chambers of the ancient megalithic passage-tomb of Knowth. There are various reasons for this - not least the fact that in Knowth's eastern passage, one has to crawl on the ground in order to gain access to the chamber, while the western passage is too low and narrow to allow people in there. It's simply not practical. However, thanks to modern technology, you can get a glimpse inside Knowth to get a sense of what it looks like inside these deep stone corridors, built 5,300 years ago. In the video below, you can look inside the western passage in this laser scan animation. 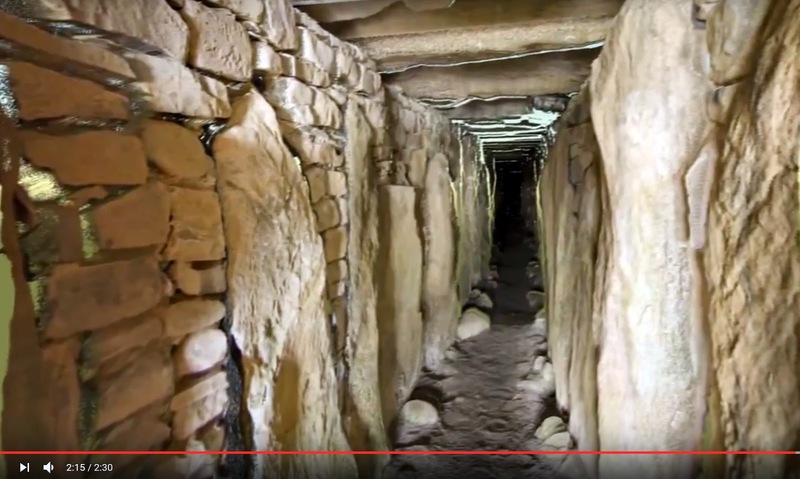 In the video below, which was part of an RTE news report, Philip Bromwell goes inside Knowth's eastern chamber and gives us a rare glimpse of what it's like. Take special note of the size of the ceremonial basin which is located in the right-hand recess of the chamber. I consider myself very lucky to have been able to enter both passages and chambers, and indeed to have been able to take photographs in the western passage. 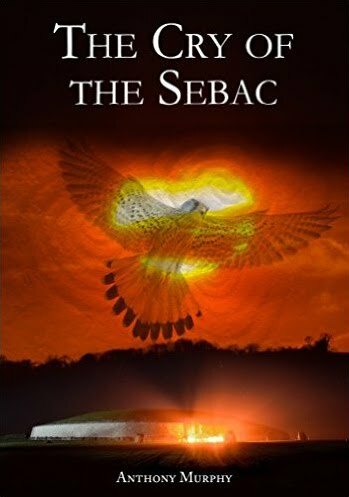 That was in the year 2000, when the archaeologist, Professor George Eogan, was still carrying out work at the site. George allowed Richard Moore and I to visit both passages. It was an unforgettable experience, and one that so few have shared. Thank you, Anthony, for making this available to people who do not normally have access to BBC and RTE news coverage. Such a privileged view of this site and interesting to see the technical aspects of how this is captured. Thank you for sharing this. I am fascinated with Knowth.